I don’t conceive of writing as something illustrious but as something clandestine. 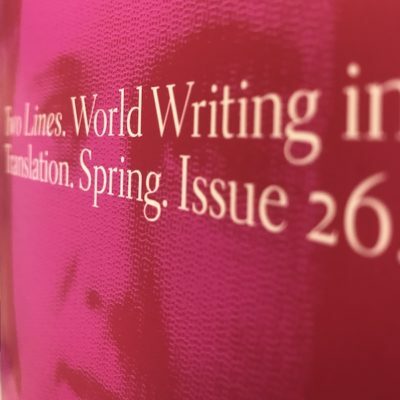 Perhaps the thing that draws the contributors of Two Lines 26 and its Online Exclusives together most is a sense that writing is not “illustrious,” honorable, praiseworthy, or anything other than a chance to disrupt, disturb, and question. 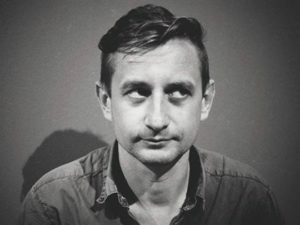 The Ukrainian writer and activist Serhiy Zhadan, in a piece translated by Reilly Costigan-Humes and Isaac Wheeler, resists telling an uplifting or predictable story and instead gives us Skinny, a young man who wants to help, wants to get out of Ukraine, wants more than he will be accorded. Being clandestine in one’s writing might in fact lead to exile, as it has for so many international writers, but it always opens the back door to insight as well. It can shape the way we question our assumptions, much like the young speaker in Gustavo Barrera Calderón’s Punctured Body Is a Home (excerpt translated by Kathleen Heil). We might understand part of a situation, but it takes a mother—and great literature—to help us see the larger picture. Our Online Exclusives continue and expand this project of disruption. 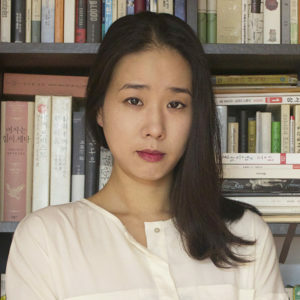 Whether it’s in the domestic peculiarity of Han Yujoo’s The Impossible Fairy Tale, translated by Janet Hong and just released by Graywolf Press, or the brutal reality of comrades dying in Red, Yellow, and Green by Alejandro Saravia, translated by María José Giménez. We hope you read through and enjoy the Online Exclusives for Issue 26 and take the opportunity to browse our extensive archive of online contributions. While we make outstanding literature available online, the best way for you to ensure continued access to this material and support the work we do is to subscribe to Two Lines. A year’s subscription is only $15.00 and brings together work from nearly fifteen languages, written and translated by men and women around the world who continue the honorable, praiseworthy, clandestine, and yes, disruptive work we all rely on.